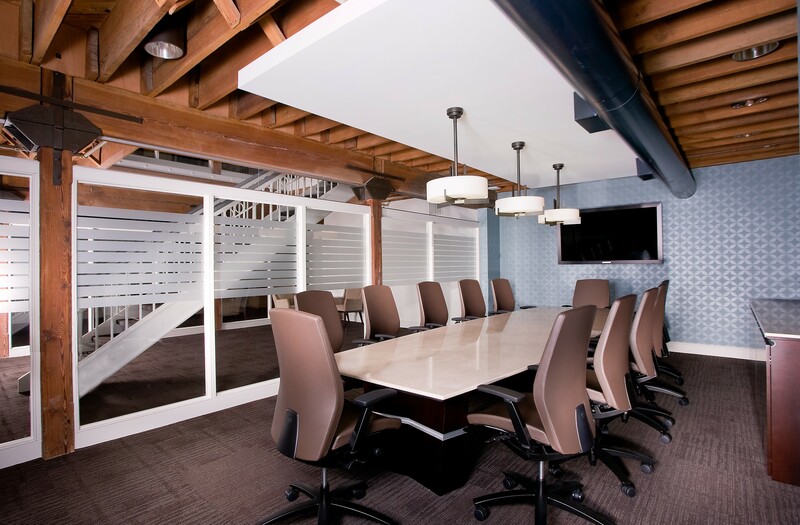 Planning an office space is a vital step in establishing your workplace culture. 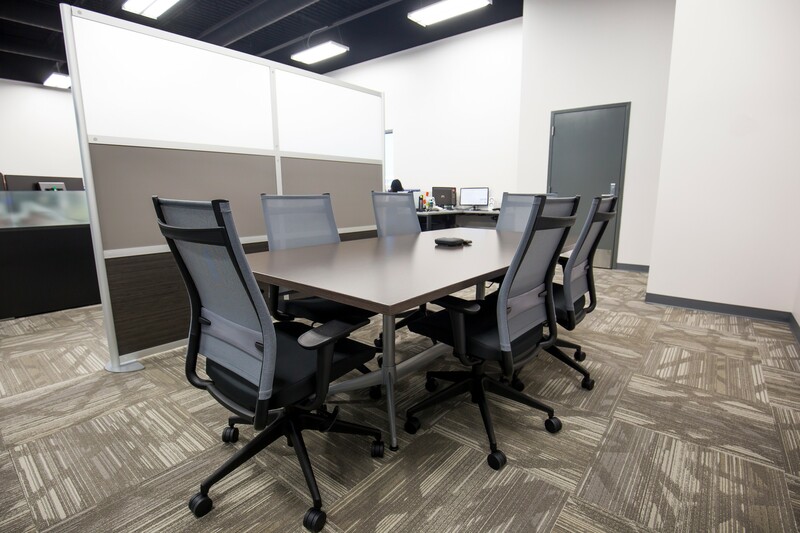 Design and Furniture set the tone for your office. 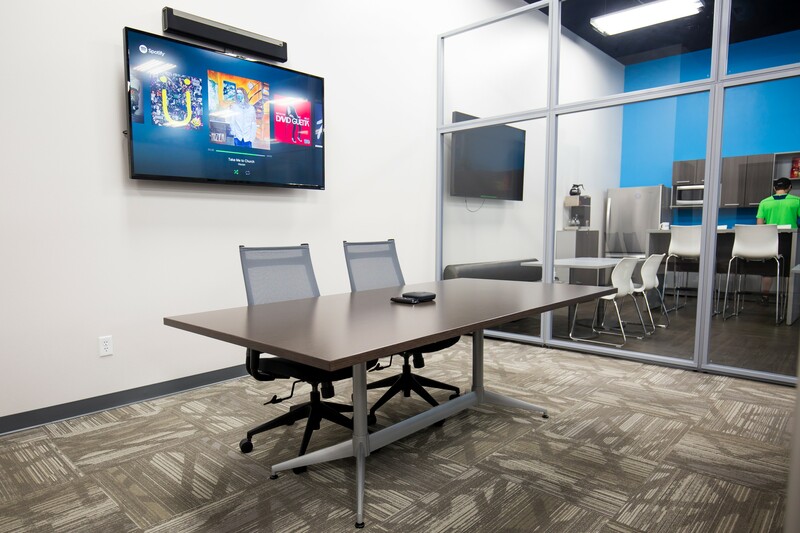 Koch Office Group offers full-service design experts who work alongside your company team. 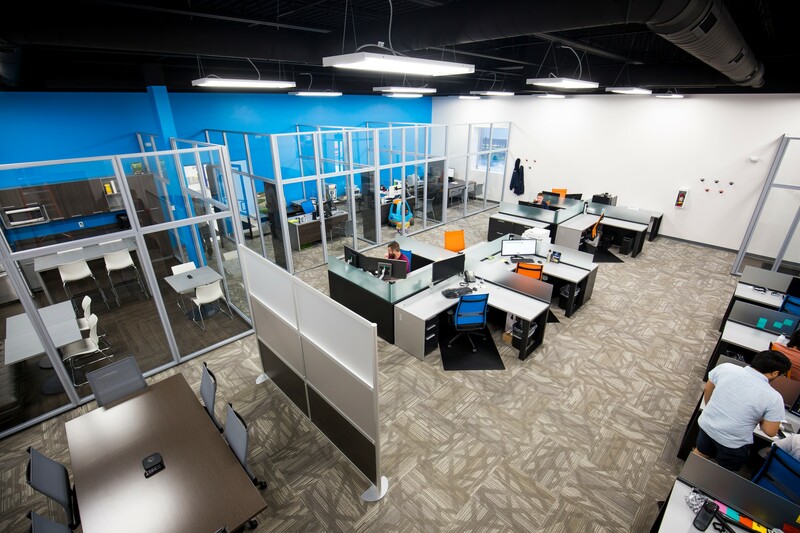 We will help design, plan, and execute the office you want to succeed in for years to come. 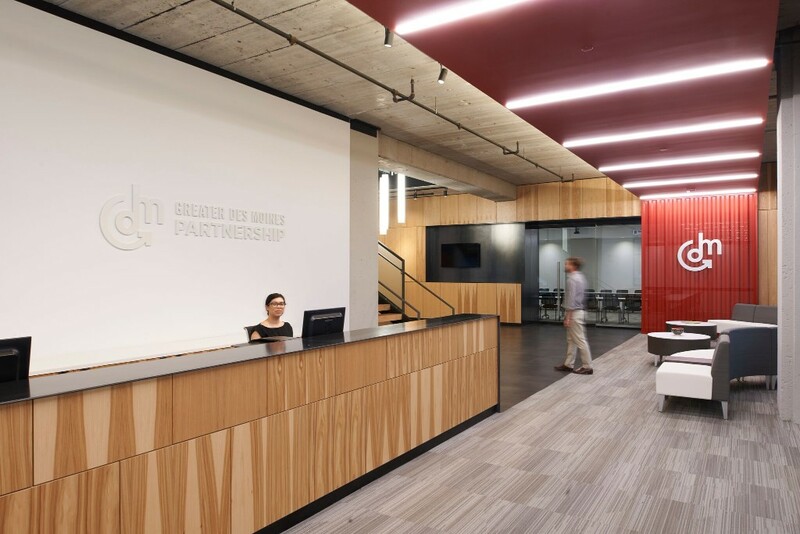 The Greater Des Moines Partnership is the economic and community development organization that serves Greater Des Moines (DSM), Iowa. 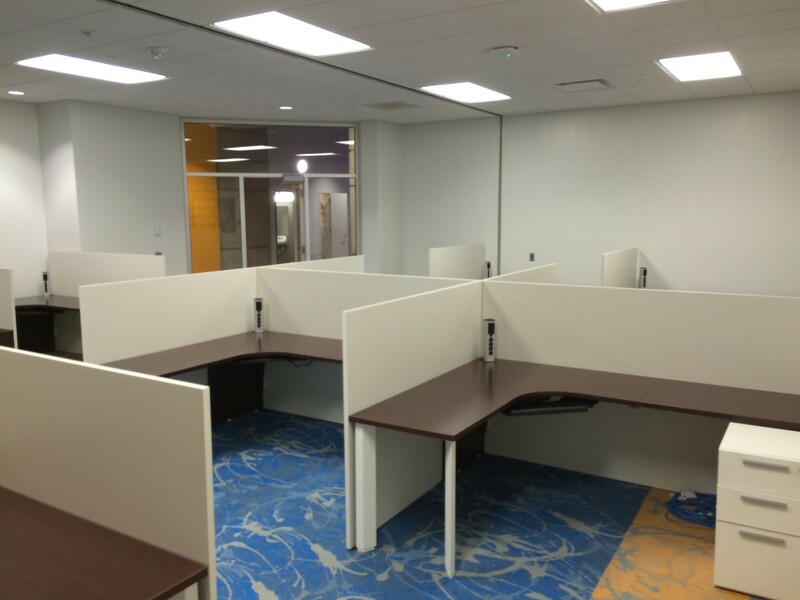 Our design team provided them with a custom solution for their open office systems and private office furniture. 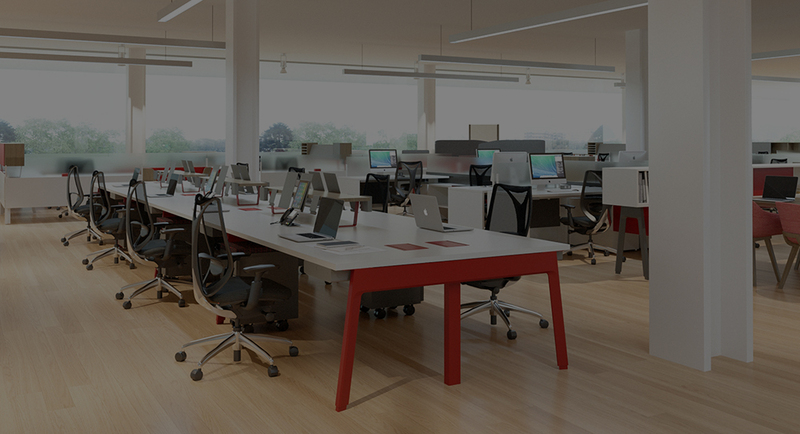 We integrated Teknion product lines to create a unique design which met all the end user’s needs. 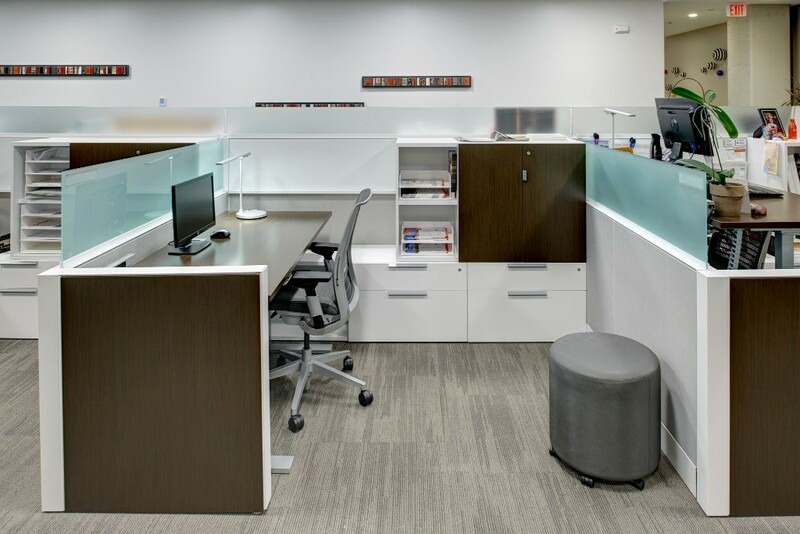 Teknion’s product lines throughout The Partnership include; Leverage, District, Complements, and Expansion Casegoods. 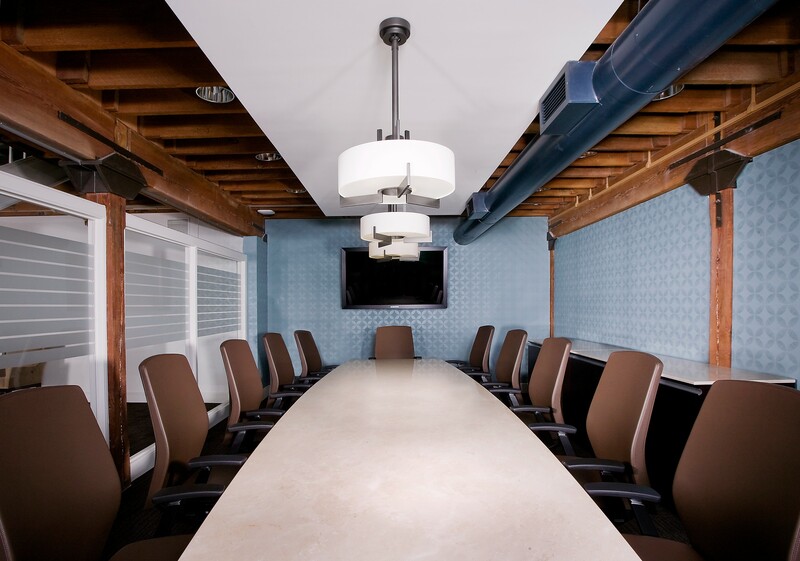 We also specified furniture for the boardroom and break out conference spaces. 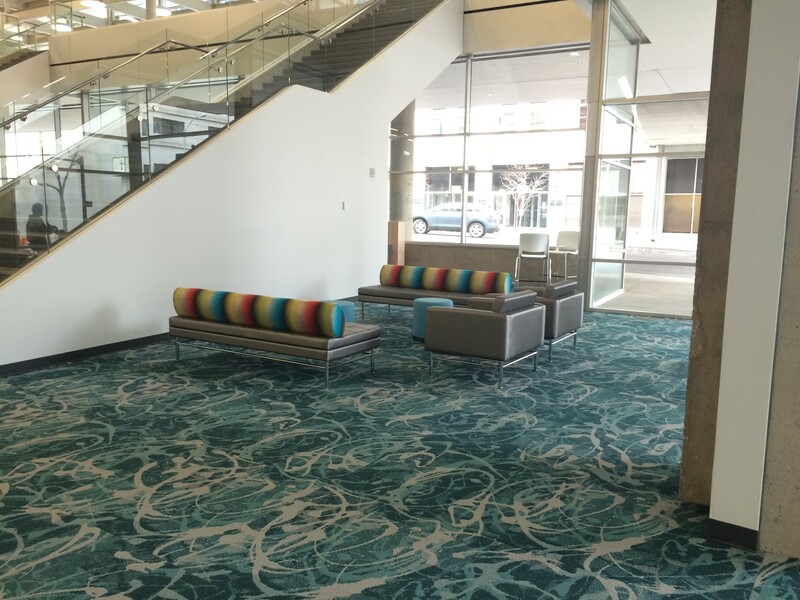 The YMCA supports kids, adults, and seniors with programs that connect, encourage and nourish the Downtown Des Moines community. 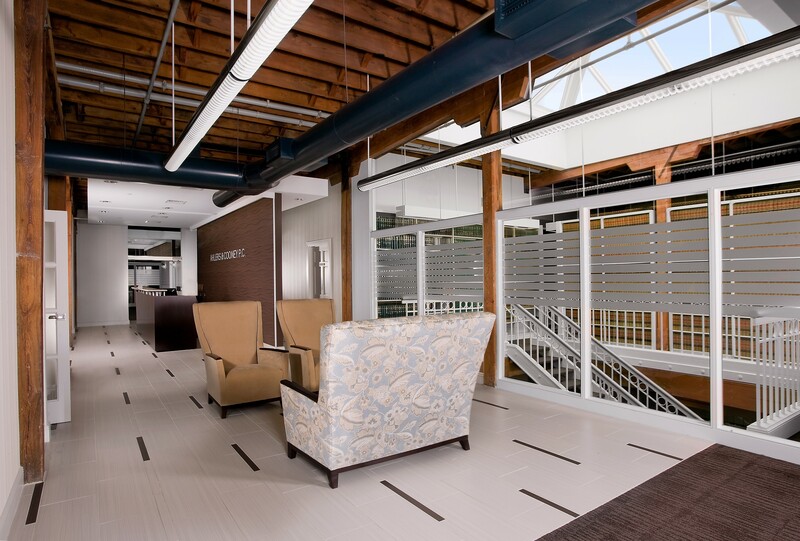 The YMCA of Greater Des Moines has been a client of Koch Office group since their initial renovation. 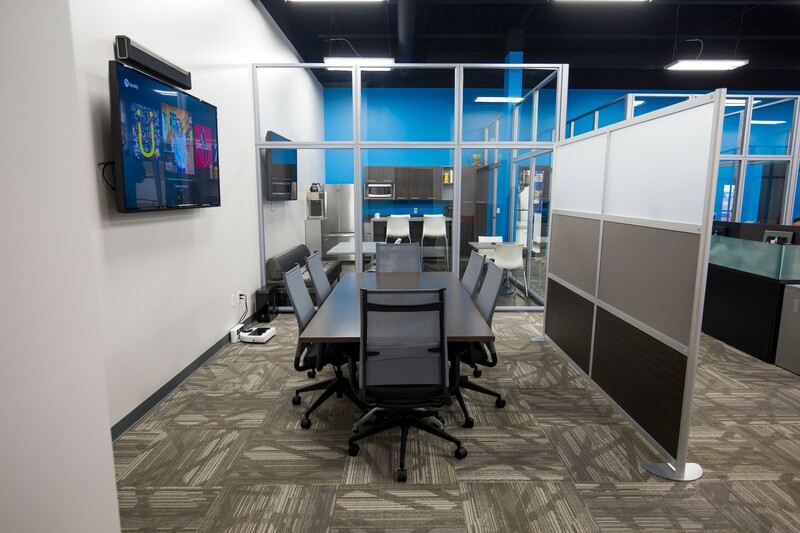 The first phase of the project location consisted of lounge furniture and tables, stackable seating, and training tables all from within Teknion. 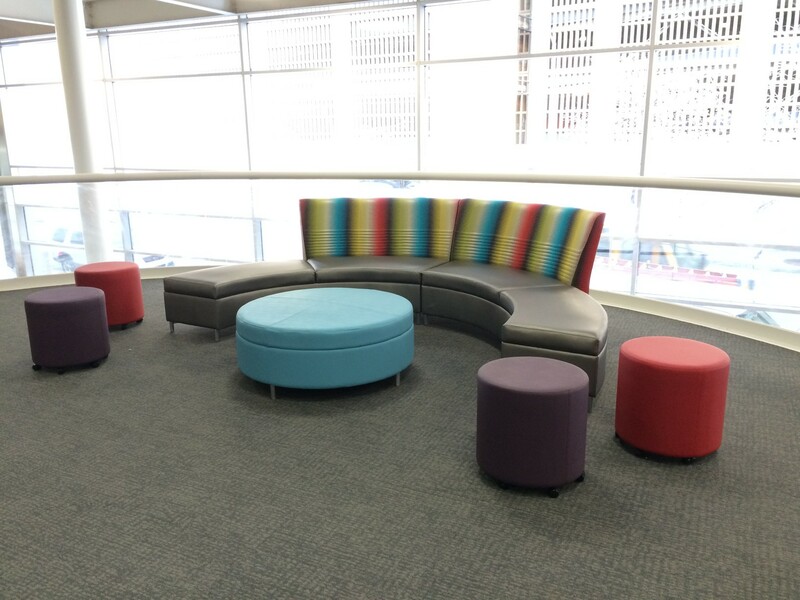 We furnished the public areas with durable and playful pieces of furniture that hold up to the high volume of users and compliments the YMCA brand. 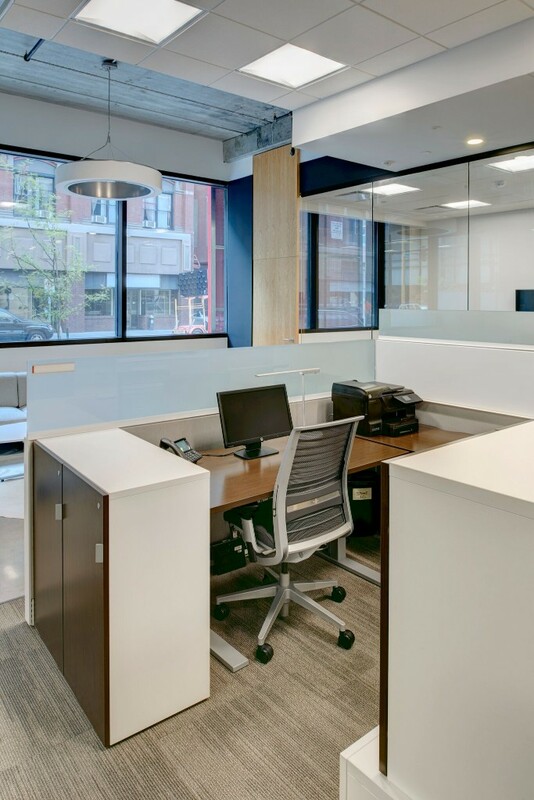 The second phase of the project included their open and private offices, our furniture solution me the diverse set of needs of the end user while transforming unused spaces, such as classrooms, into efficient work environments. 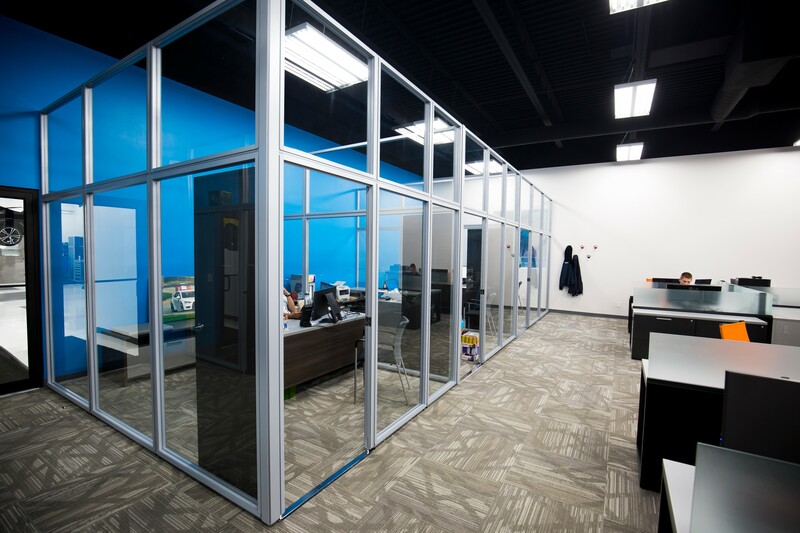 JB Autosports is a premier automotive resource, dedicated to serving the performance aftermarket for sport cars and has been an ongoing client of Koch Office Group since 2014. 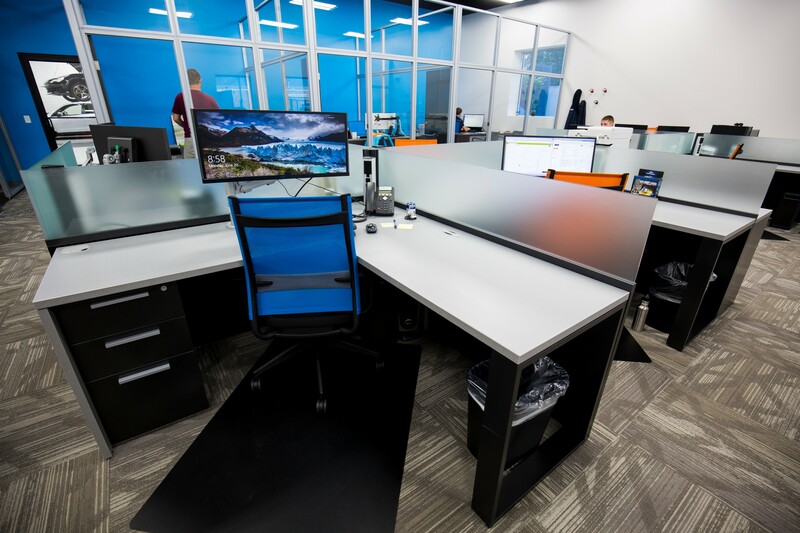 In the last 4 years the company has more than doubled in size and continues to grow creating a need for more work stations and space for employees. 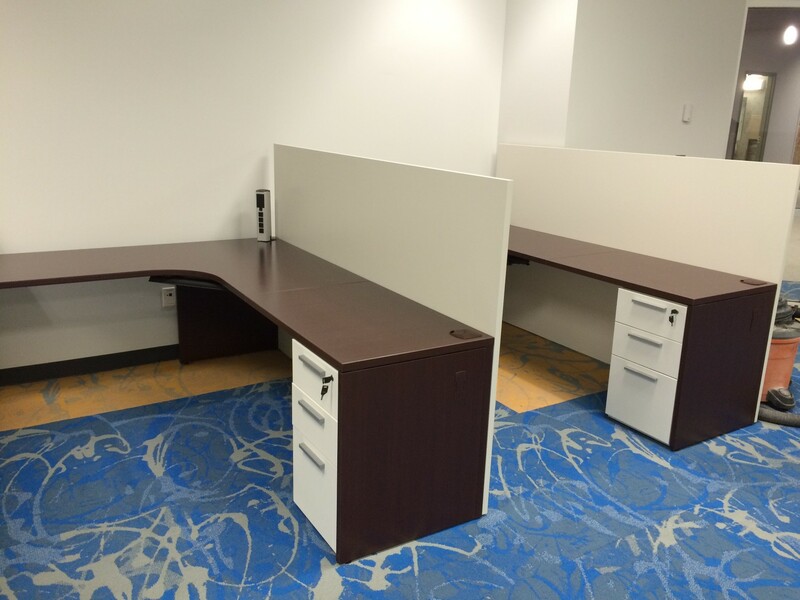 We have now completed at total of three office designs for JB Autosports, each one bigger than the last. 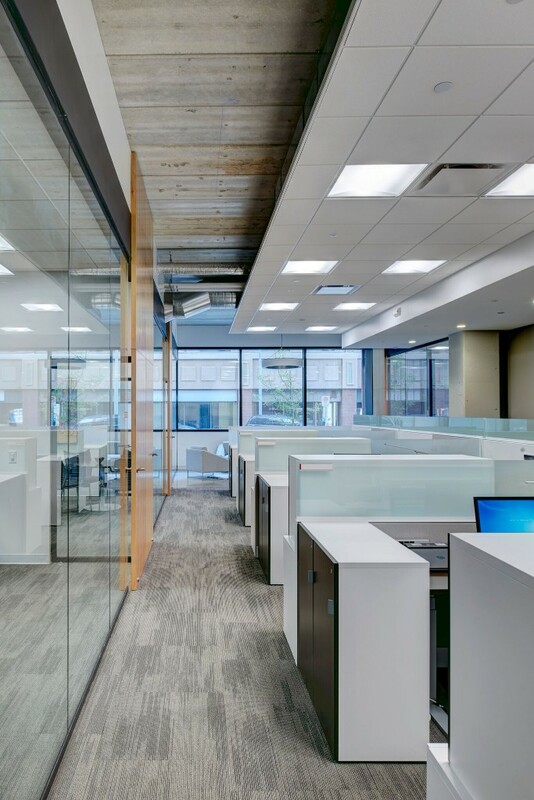 With the use of Teknion’s Upstage and Expansion Desking systems, demountable walls, and modular cabinetry this space is designed to be reconfigured to accommodate the expected growth. 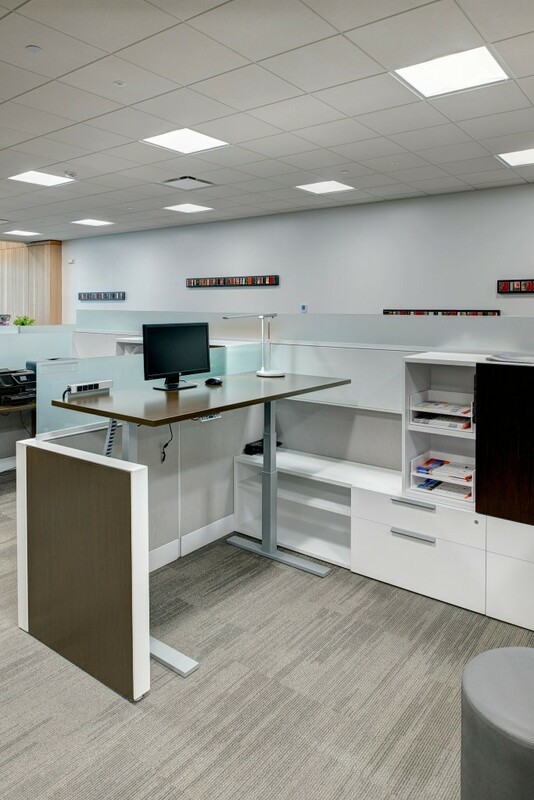 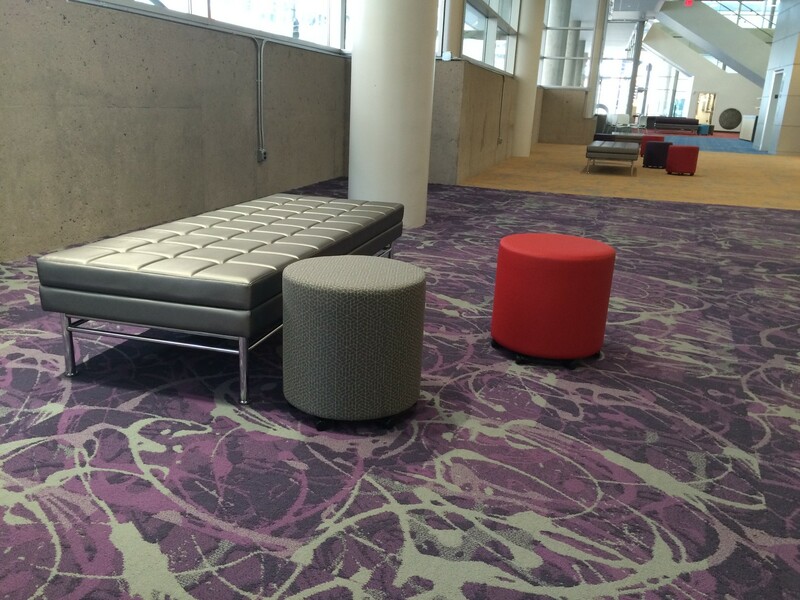 This client is a testament to the flexibility of Teknion’s furniture. 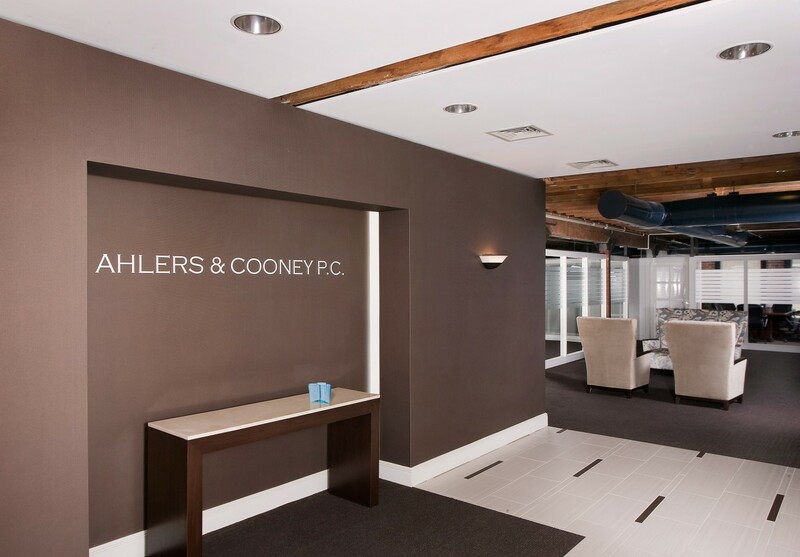 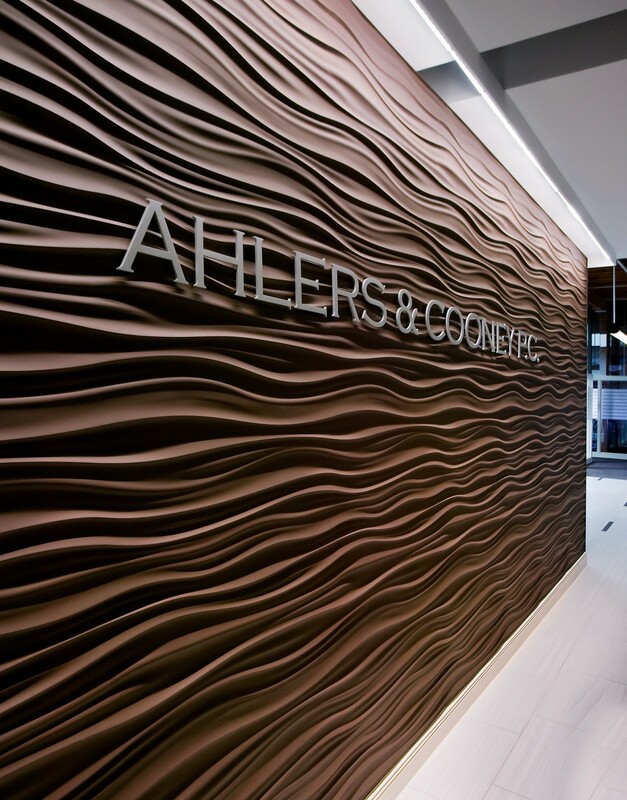 Ahlers & Cooney Law Firm located in Des Moines, Iowa has been around since 1887. 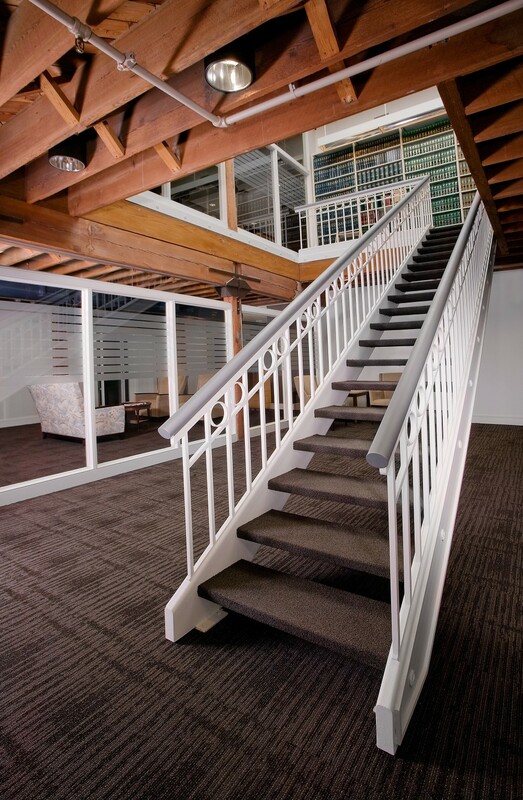 This posed a design challenge to reinvigorate a dated space to reflect a timeless and refined design aesthetic. 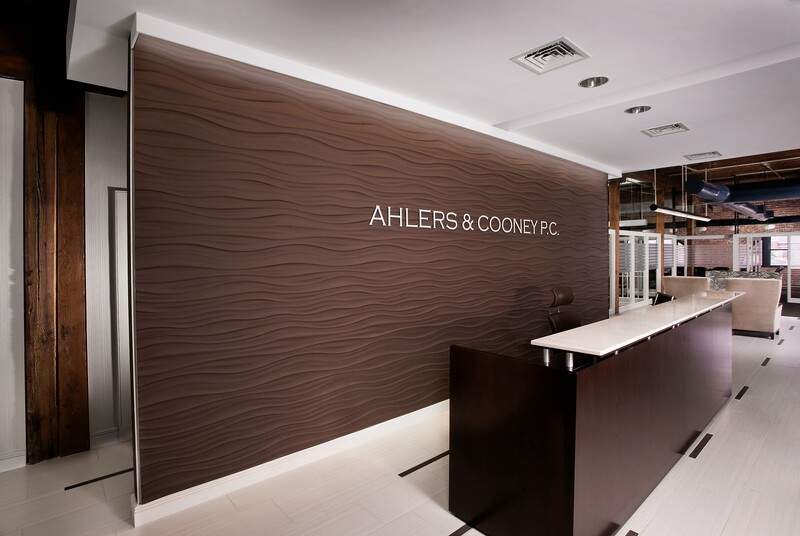 A palette of warm, rich colors and the use of texture creates an environment that feels professional while welcoming visitors. 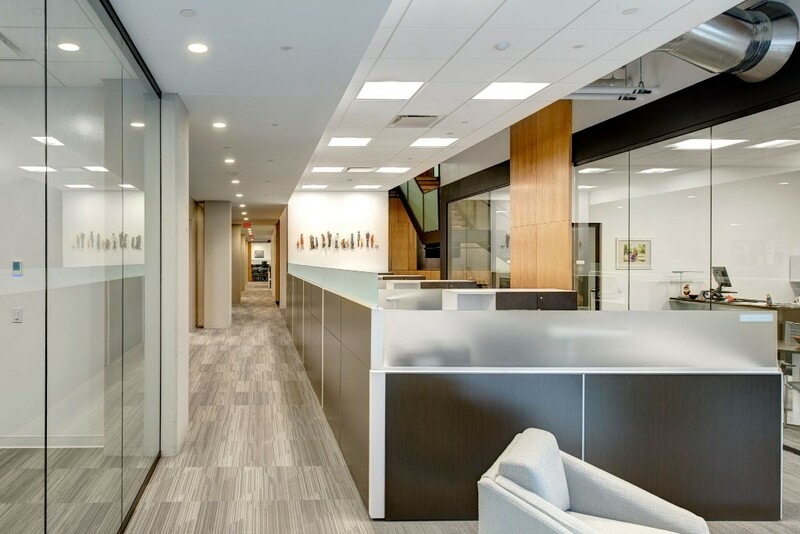 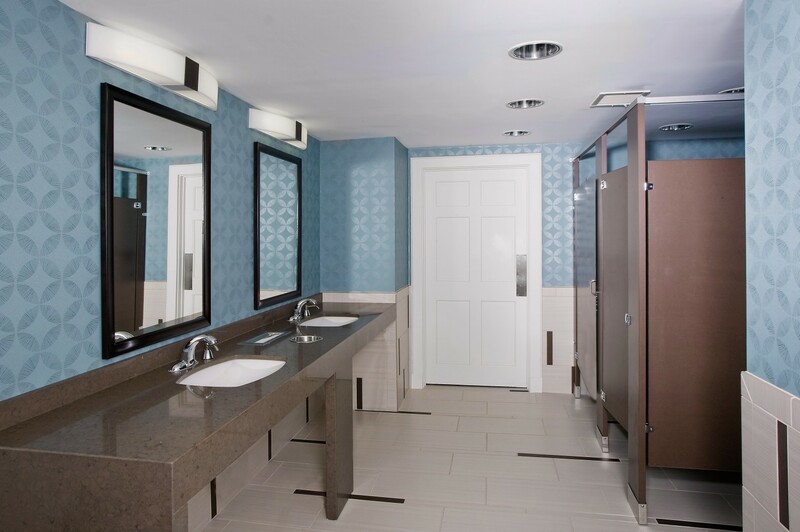 In this space Koch Office Group has transformed a portion of the library into a multi-media conference center, updated restrooms, created a sophisticated lobby and is in the process of redeveloping the private offices. 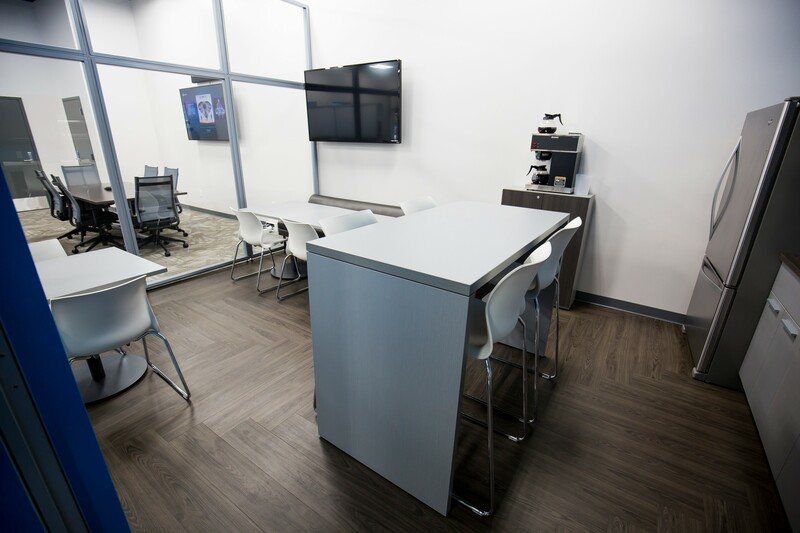 Overall the project goals were met, and the client received a polished and distinctive space that meets all their needs. 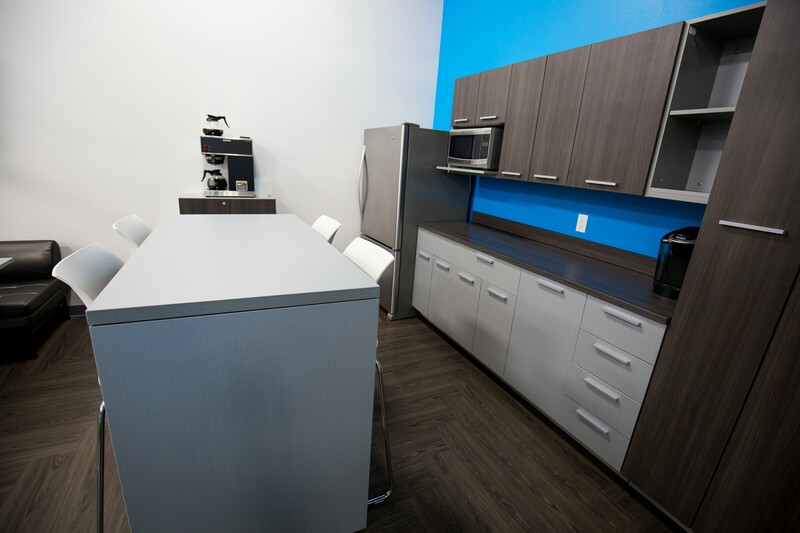 Let’s talk about what needs and how Koch Office Group can assist you!